In the most delightful way: Molton Brown – Essence. 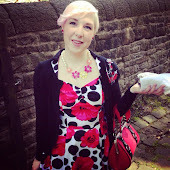 Hi guys and welcome to my first Molton Brown review. In all my years, and there have been a few, I can only remember owning one Molton Brown set. This was a travel shower gel set, bought on impulse, in-flight. You know what its like!. When you have that holiday feeling; there’s nothing else that you fancy on sale and they are a decent price. It just happens. This, however, was given as a present from my lovely mother-in-law (M-I-L). She had been on a working trip to Ireland and came home with this for little ol’ me. (thank you, mwah). Now if you didn’t know, Molton Brown is a British company that first opened its doors in London 1973 as a hair salon. It is a luxury brand, which bases their products on a natural ethos which encompasses; never testing on animals, sourcing all their natural ingredients from sustainable sources and manufacturing 90% of their products in the UK. And here is the lovely gift itself. As you can see it is a box set of four different ‘flavored’ hand washes, which are 100ml each (the perfect trial size before deciding on your favorite). These feel lovely on the skin. The liquid is really luxurious and the scent fills the room when they are used. I gave these a bit of a trial at work and one of the ladies that was in the toilet at the same time, commented on how lovely it smelt (not while she was in the cubicle of course, because that might have been a bit uncomfortable). The four flavors/scents in this box set are Thai Vert, Naran Ji, Rose Granti and White Mulberry, and I have tried them all. Thai Vert has a very clean scent, where as Naran Ji is fruity, with a distinct orange aroma. Rose Granti is what I would call pretty and soft floral (and it's my favourite), whereas White Mulberry has quite a woody/outdoorsy scent (Hubby's fave). I was never really sold on the idea of posh hand wash before, thinking that there couldn’t possibly be any noted difference in that and my trusted £1, supermarket buys. But I feel that the tables have turned now I have been exposed to this wonder. Be warned Hubby, posh hand wash all the way in our bathroom! And for anyone else, if you would like to shower me with the gift of posh hand wash, it would be greatly appreciated. 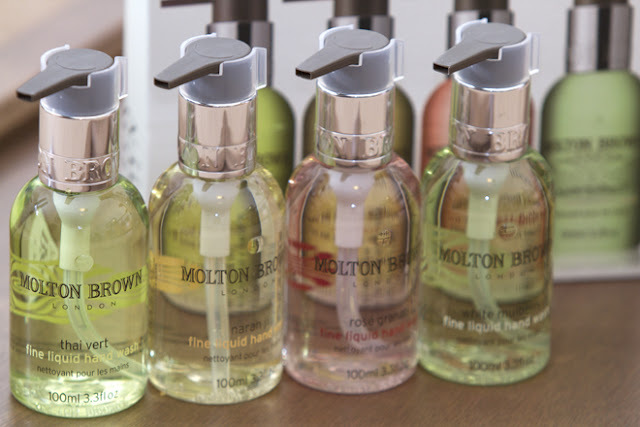 You can find Molton Brown products in select stand-alone stores across the country, as well as House of Fraser, and numerous airports (a cheeky holiday splurge is always a winner in my book), if you would like to check their products out.